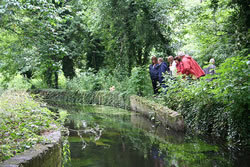 Would you volunteer for the new regional park along the Wandle? A regional park is being created along the River Wandle in South West London, stretching from Croydon and Sutton through Merton and Wandsworth to the Thames. As part of this development, they are undertaking a study to analyse volunteering in the region - both to understand the existing volunteering and training opportunities and the possibilities for future development. The aim of the regional park is to create an exceptional network of green spaces that will allow local residents and visitors alike escape the pressures of city life, get closer to nature and be more active. 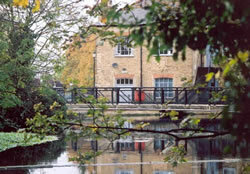 It will also create a high quality environment that will help bring jobs, growth and prosperity to the Wandle Valley. Your input is greatly appreciated and will go a long way towards helping them achieve this vision. As a thank you for taking the time to complete the survey, you will be entered in a draw to win a £50 gift certificate to M&S!